HOY Los Angeles newspaper wrote a feature on Vickie Vertiz, detailing her desire to teach creative writing, her upcoming book, and her political roots. Read the great Sergio Burstein article in Spanish here. The free workshops will cover nonfiction, play writing, and poetry. 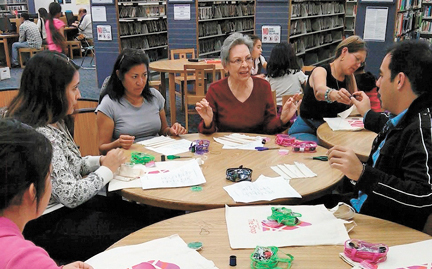 The Creative Writing Circles are held at three Boyle Heights libraries from January to June 2015. For more information a bout The Shop, click here.